A number of European heavyweights are said to be taking note of the impressive performances of Chelsea's on loan winger Kenedy. Since making his loan move to Newcastle United in January, the Brazilian has proven that he is capable of producing good performances in the ​Premier League after struggling to find his place in Antonio Conte's ​Chelsea squad. It has been reported that ​Kenedy has garnered interest from Bayern Munich and Paris Saint-Germain, who have asked to be kept informed about whether Chelsea will decide to sell the 22-year-old this summer. 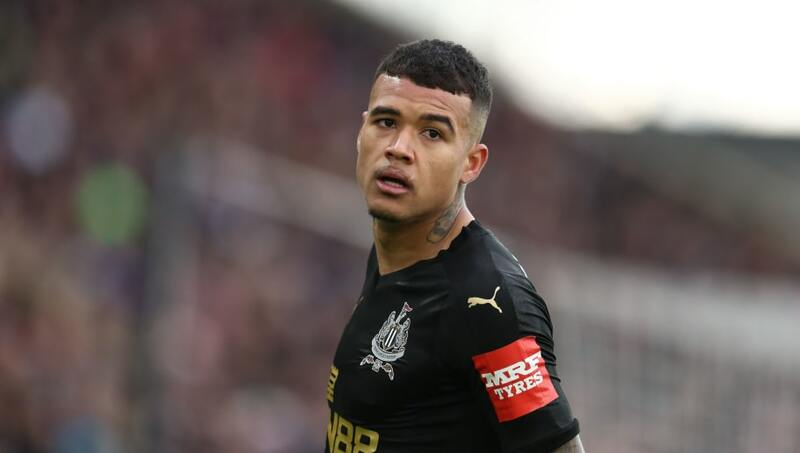 It would also seem that Kenedy is turning heads in the Premier League, with ​ESPN reporting that Arsenal are also keeping tabs on the ​Newcastle ace. ​Tottenham are also interested in securing the player's signature, as per the ​Northern Echo. In a short time at Tyneside, Kenedy has quickly shown flashes of his excellent ability. The Brazilian has two goals and two assists in eight league appearances for the Magpies and has been instrumental to the club's recent form and breakaway from the relegation battle. While no formal offers have been made for Kenedy yet, all four clubs are said to be monitoring his situation at Chelsea closely, where he is expected to make a move this summer. The Blues are likely to be busy in the summer transfer window are slipping out of the top four this season. Players on the fringes of the squad like Kenedy could very will be sold to free up funds for new signings. Kenedy's ability to play in multiple positions could be useful for clubs like ​Arsenal and Spurs. The Gunners also do not really have any natural wingers in their squad, and often opt to play attacking midfielders like Mesut Ozil and Henrikh Mkhitaryan in wider roles. Spurs, meanwhile, are known for having the ability to alter formation multiple times per game. The young Brazilian could be a bargain signing a club this summer, who has quietly shown his brilliance when given regular minutes. The Blues signed Kenedy for £6.3m in the summer of 2015, and may feel that they could cash in on the winger if interest for him remains strong from big European clubs.